Here's my one minute take on Baz Luhrman's GATSBY: it's something of an achievement to direct a movie that has such reverence to the source text, and yet misses the point so completely. And of course, reverence for the text is perfectly correct. F Scott Fitzgerald's slim novel depicting the glitz and the loneliness of Jazz Age America is arguably the greatest American novel of all time, and certainly one of the greatest novels of all time period. It has an elegance and a depth that belies its brevity. The supreme tragedy of Gatsby is that he is a man who is desperately trying to be something that he can never authentically be - a man of inherited wealth - in order to win the love of the blue-blooded débutante Daisy. But what we know, what Nick knows, is that Gatsby isn't really in love with Daisy. She's just a cipher for his delusion that he can replay his youth - a youth blighted by his poverty and then parlayed into organised crime. There's a sense - a much-needed and necessary sense - that while Gatsby knows that his lifestyle, his name, his means of earning - are a lie - that he simultaneously totally believes the fiction. He is his own great work of art. Baz Luhrman's reverence for the text is literally writ large on the screen. We see key phrases shown as written on the screen; the dialogue is almost entirely lifted directly from the novel; even key visual moments are taken from the book - such as the white drapes fluttering as Nick, our clear-eyed narrator, first meets Daisy. 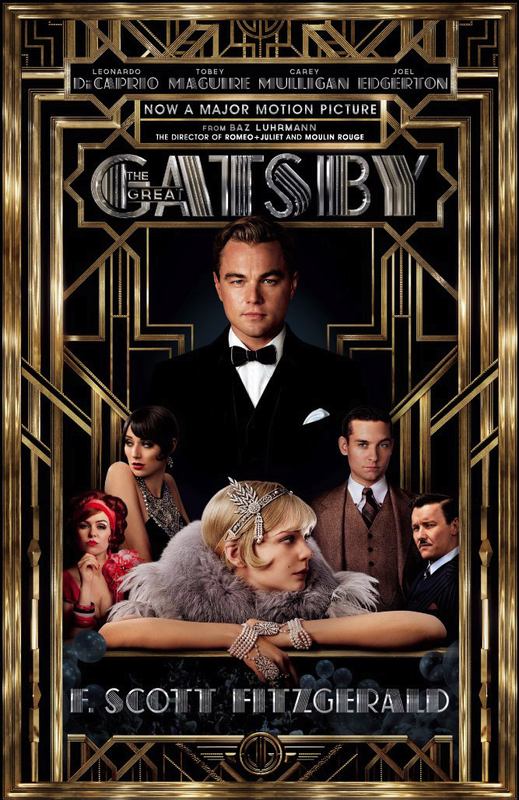 Luhrman even opens the movie out, giving it a framing device, wherein an older, jaded, alcoholic Nick (Tobey Maguire) is "automatic writing" his experiences with Gatsby and Daisy - and that written therapy will eventually become the novel, "The Great Gatsby". And more fundamentally, with the exception of this framing device, the plot unfolds in the film exactly as it does in the novel. Our young narrator Nick hires a humble cottage next to the extravagant mansion of the mysterious millionaire Jay Gatsby (Leonardo Dicaprio). Gatsby's famous for throwing marvellous parties that he doesn't attend. And we discover that he's throwing them as bait to lure Nick's now married cousin Daisy (Carey Mulligan) - his first love - and the woman he hopes to begin again with. Meanwhile, Daisy's husband Tom (Joel Edgerton) is having an affair with a brassy, blowsy mechanic's wife (Isla Fisher) - an affair that casually exploits and manipulates the emotions of the mechanic, but also belies Tom's proprietorial feeling toward Daisy, and his innate distrust of Gatsby. And within that reverential depiction of the novel, there are certain scenes that work brilliantly well. In particular, Luhrman and Dicaprio totally get that the first scene where Gatsby meets Daisy is funny - it's painfully, embarrassingly, gauche and physically funny in a way that Robert Redford and other Gatsby avatars have never been. I also think that the visual depiction of the Valley Of Ashes was truly inspired and brought them to dingy, desperate life in a way that I didn't really get from the novel. And in terms of performances, I think Joel Edgerton and Isla Fisher are superb and vital in smaller roles; I was shocked by how effective the casting of Amitabh Bachchan as Meyer Wolfsheim was; Tobey Maguire is perfectly cast as the wide-eyed and yet not naive narrator; Carey Mulligan is suitably insipid although, if I were harsh, I would say that she doesn't quite get the quite whispering voice. But this is really Leonardo Dicaprio's movie and the tragedy of this film is that in a quieter movie, his performance would be garnering Oscar buzz. As it is, you can't hear him above the sound of the Jay-Z. So here's the problem with Gatsby. As much as Luhrman loves the text, he loves high-camp even more. Which means that every scene gets Luhrmanned. It moves, faster, brighter, louder, crazier than anything you've ever seen before. I lost count of the amount of times I was trying to look through things, or hear dialogue beneath music, to get at the performances. It was like trying to watch a fundamentally great movie in a theatre filled with partying teenagers. I guess the shock is that one might have thought that Luhrman's all-out glitz style might have worked in depicting the jazz age, but it just never seemed to coalesce. The sum of the parts drowned out the whole. 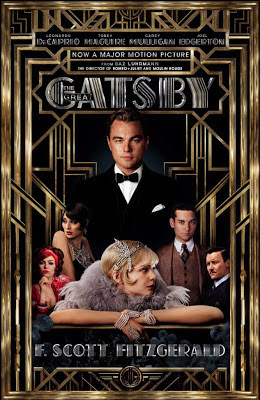 THE GREAT GATSBY is rated PG-13 in the USA. It has a running time of 142 minutes. THE GREAT GATSBY is on global release.